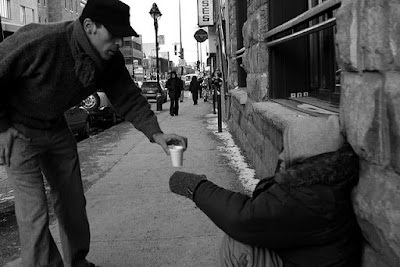 When the world is spinning around with nothing but troubling news, why not indulge in some random acts of kindness? Our world is in an uproar over acts of violence, anger and retaliation. Depression levels are increasing. It’s important not to ignore what’s going on around us and it’s just as important to increase the level of compassion and kindness in our hearts toward others. That’s how we can ‘be the change we want to see in the world”. At the New York Acting School for Film and Television, we want to challenge our readers to commit to random acts of kindness. Now these things can be simple or grand, but regardless of the effort, they have a similar effect. Scientific studies show us that kindness is contagious, “when we see someone else help another person it gives us a good feeling, which in turn causes us to go out and do something altruistic ourselves,” one study found. Go beyond the acting and choose acts of kindness. Putting other's sense of value as a priority can create massive change in one heart, in one family, in one city... country...world. Be part of the change. Be a voice for the voiceless and be power for the powerless. As said before, ideas are endless, but here's a simple start with quick ideas to jumpstart the kindness revolution this holiday season. 1. Pay a thoughtful compliment to a stranger. 2. Write a letter to a hospitalized veteran. 3. Pop a coin in an expired parking meter. 4. Help someone with a baby stroller get up the stairs where there isn't an elevator. 5. Pay for a stranger’s coffee. 6. Give your umbrella to someone who doesn’t have one and is looking miserable; if you need to stay dry too, share it instead. 7. Donate to a stranger’s medical expenses fundraiser. 8. Write a letter to management extolling an employee’s good service. 9. Give your scarf to someone who looks cold. 10. Pay for someone’s groceries. 11. Make a meal to deliver to someone who is sick or going through a hardship. 12. On little cards or notecards, leave notes in people's mailbox that simply say, "You Matter!" 13. Bring cupcakes to a retirement home. 14. Go to the hospital and volunteer to care for the preemies. 15. Offer a free wellness or pampering service to an overworked mother. That should get your wheels turning. What other ideas do you have? The New York Acting School for Film and Television doesn't *just* specialize in boosting an actor's skills and career. We are dedicated to boosting the greatness of yours and other's life experience. From our instructors and acting coaches alike, we wish you beautiful week!